With Thanksgiving slowly approaching, Chicago’s Delightful Pastries shares their recipe for a delicious holiday pie. 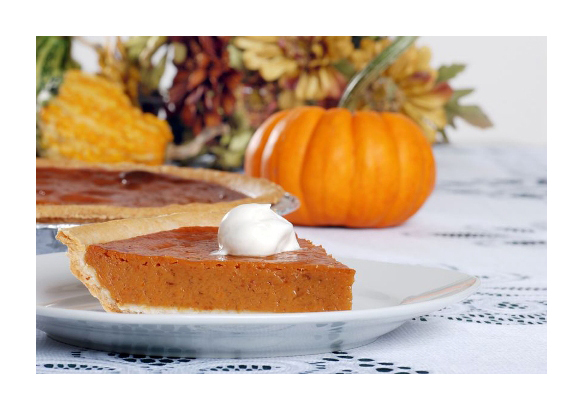 Their pumpkin pie is baked with a touch of brandy and served with cinnamon and whipped cream. This simple and versatile recipe would make a nice addition to your holiday menu. Whisk the pumpkin puree till nice and smooth. Whisk in sugar, spices and alcohol of choice. Whisk in the eggs, yolk and half and half. Taste for sweetness if not sweet enough add a little bit more sugar. Pour filling in a prebaked shell and bake for around 45 minutes or until the toothpick comes out clean in between the center and the edge. Serve with whipped cream and a dash of cinnamon.